In Reply We thank Barello and colleagues for providing information about patient-health engagement to improve patient and family outcomes. In the previous few years, there have been numerous initiatives designed to engage patient and family participation in children’s care. 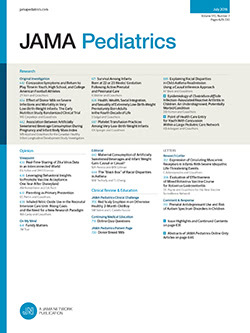 In investigations of neonatology, these initiatives are generally aimed at educating health care professionals by teaching them skills or ways to structure difficult conversations.1-3 These approaches may improve communication between physicians and families in the neonatal intensive care unit to help parents.